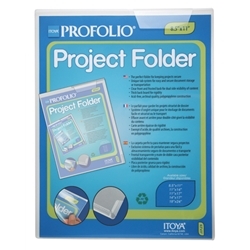 Project Folders offer an easy way to protect and display a few select pieces of artwork. They are ideal for drawings, sketches, watercolor paper, canvas, as well as photographs and documents. Made from durable polypropylene.